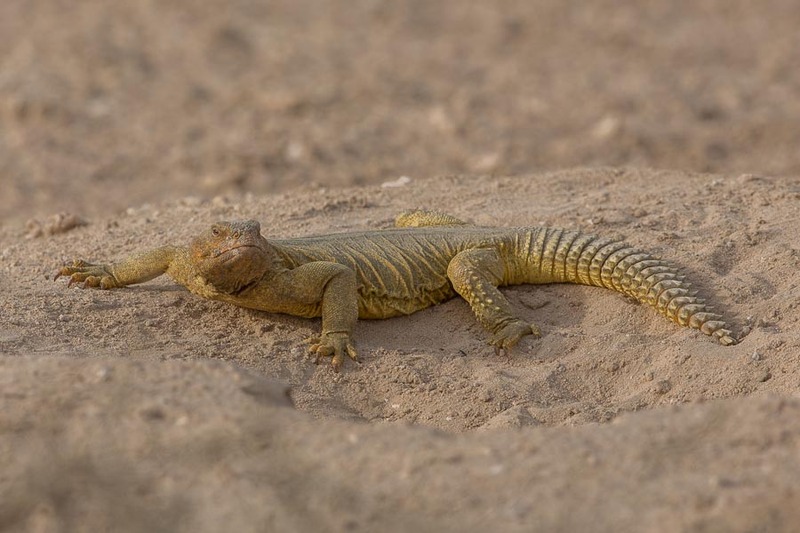 Now the temperature is hot again, the Arabian Spiny-tailed Lizards are again becoming more obvious. 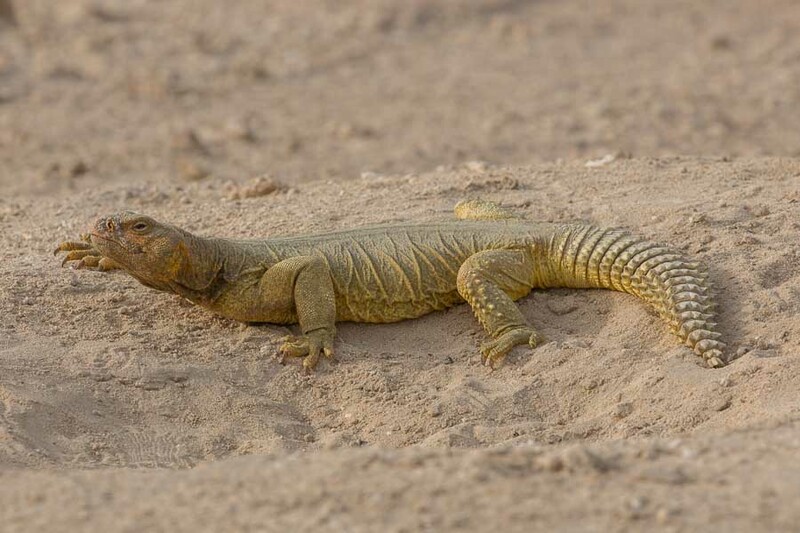 They are large lizards reaching up to a metre in length and change colour as their body temperature increases starting off a blue grey colour when cold and turning brighter yellow as the get warmer. They are almost always found within a few metres of their burrows that are long and deep burrows under the ground where they can shelter from the heat and from enemies. 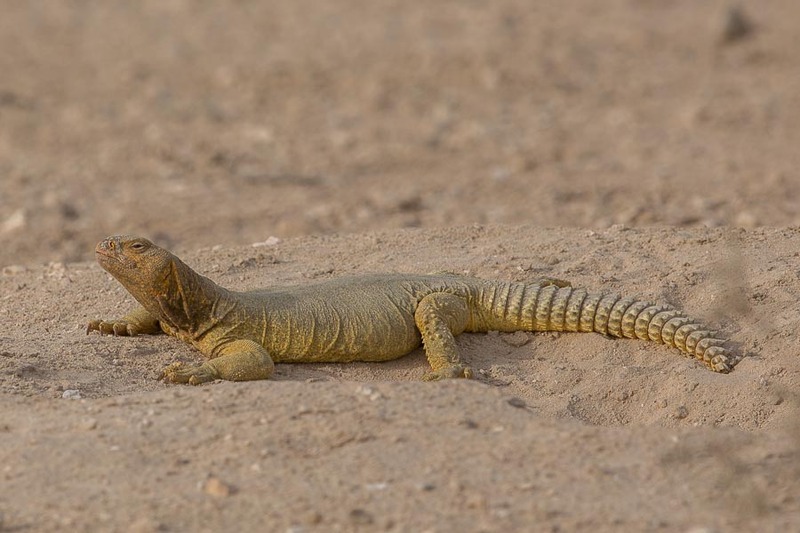 They feed primarily on plants, that are to be found near their burrows and the best pace to see them is in the scrubby desert area when good substrate for digging burrows and plants to feed on can be found together. They are quite timid and if on foot it is very difficult to get near them, but in the car it is often possible to get very close as was the case with this individual. They are fabulous animals in my opinion and I always love seeing them when out birding.